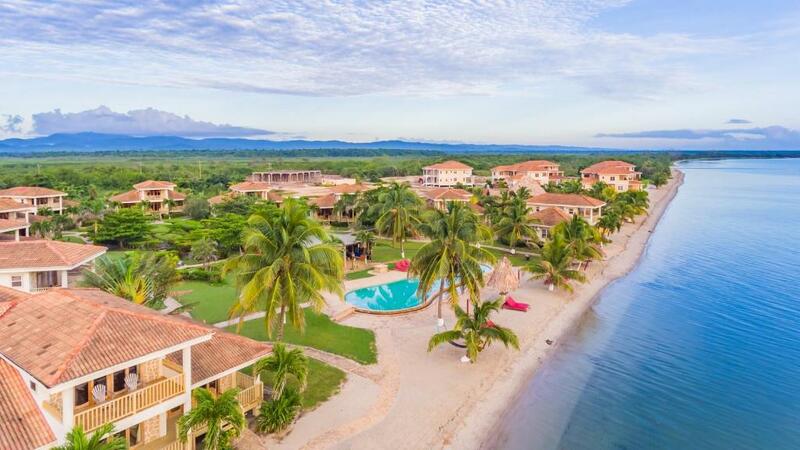 Lock in a great price for Hopkins Bay Belize a Muy'Ono Resort – rated 8.8 by recent guests! Property was amazing. Great staff, pools and food. Beautiful, simple, comfortable room. Easy bike into town to eat at simple local restaurants. The property was GORGEOUS and was so nice to have a welcome drink for me and my friends when we got there! I was planning on staying by myself but ended up meeting people on my trip and they joined....the staff (Velene and Emory) when we got there were amazing and very hospitable in changing our accommodation to fit the 5 of us and transition us to a 2 bedroom place right on the beach! The complimentary bikes were wonderful and it helped to get into town since the hotel is quite far from the city. Emory recommended that we go to Innie's for dinner because there was local drumming and it was wonderful! Breakfast the next morning was great. Thank so much! The whole thing! The staff made the place even more amazing. The room was very comfortable and the grounds were beautiful. The staff were friendly and helpful. The free bike rental was a nice perk to bike around Hopkins. Based on how far it said it was from city center I was worried we wouldn't be as close to the main part of Hopkins as I wanted, but that wasn't the case at all. We were right by everything the small town has to offer but just removed enough to have a quiet, comfortable oasis. It's also the perfect spot if you don't have a lot of time in Belize because it's on the coast for water activities but not far from the jungle so you can fit both types of activities in. Would definitely stay here again, especially if we can find the same great deal we got on the room this time around! The bed was amazing! The property appears just like the photos. The staff was very friend and accommodating throughout my stay. The layout of the property gave every room a good view. The shealter on the dock was great for shade. The Hopkins community was secluded, friendly and laid back. I would highly recommend to any traveler looking for peacefulness with adventure close by. 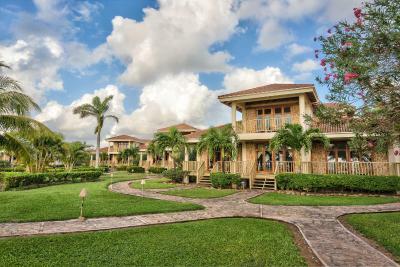 Hopkins Bay Belize a Muy'Ono Resort This rating is a reflection of how the property compares to the industry standard when it comes to price, facilities and services available. It's based on a self-evaluation by the property. Use this rating to help choose your stay! One of our top picks in Hopkins.The hotel has a private beach area in the Hopkins Bay Beach and it is 1.9 mi away from the town center. It features free Wi-Fi, an extensive garden and a furnished terrace with 2 swimming pools. 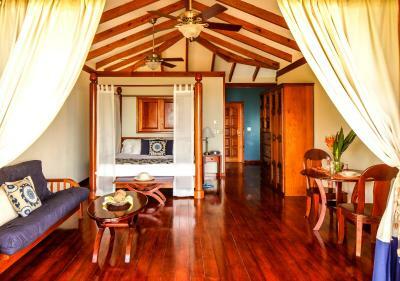 The Beach Houses offer spacious rooms and rustic décor with locally made wooden furniture and high ceilings, air conditioning, futons, a fan, flat-screen TV and balconies with sea views. 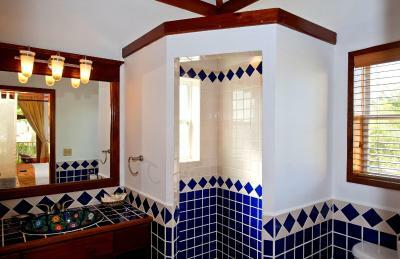 The bathrooms include bathrobes, free toiletries, hot and cold showers. The restaurants at Hopkins town 1.9 mi away serve local and international food, which is an excellent meal option for the guests at Hopkins Bay Belize. Enjoy the on-site restaurant called The Rhum Shack which serves International and local cuisine or a drink at the pool bar called The drum opened for happy hour daily. 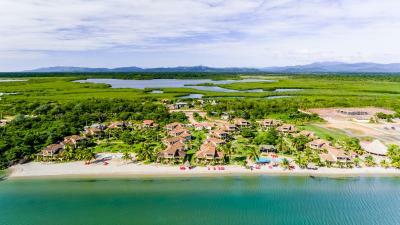 This beachfront hotel also features a tour desk and can arrange activities like canoeing, fishing, diving, snorkeling and hiking. The tours include visits to Ancient Mayan Sites, the Rainforest of Belize and cave expeditions. Dangriga Town Center is 19 mi away, Belmopan Capitol City is 62 mi away and the Phillip SW Goldson International Airport is 2 hours’ drive away. 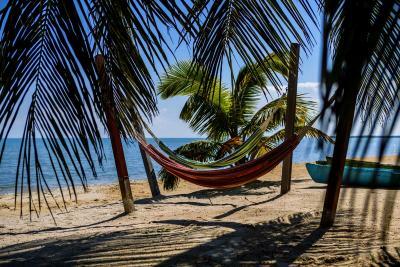 When would you like to stay at Hopkins Bay Belize a Muy'Ono Resort? 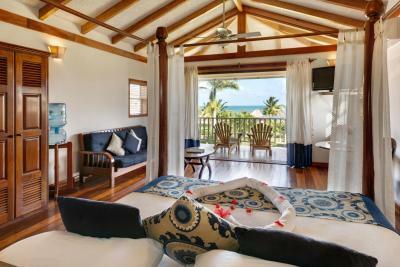 This villa features an air conditioning, a king sized bed, a futon, safe, mini-bar, iPod dock, flat-screen cable TV and 2 private balconies. The bathroom has a shower, bathrobes and a hairdryer. 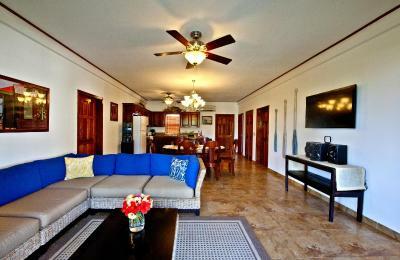 This 2-bedroom villa is air conditioned and features a safe, mini-bar and a large private balcony. The living area has a flat-screen TV and iPod dock. 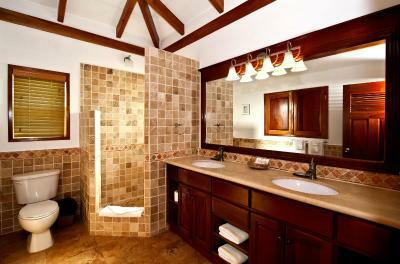 The 2 bathrooms are fitted with a shower, bathrobe and hairdryer. There is a dining area that and a kitchen equipped with a coffee maker, dishwasher, microwave, stove and fridge. 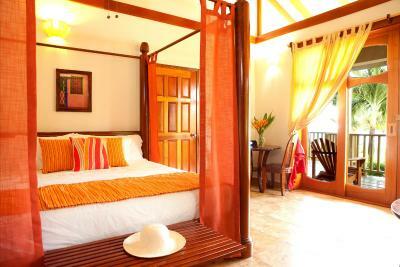 This 3-bedroom villa is air conditioned and features a safe, mini-bar and a large private balcony. The living area has a flat-screen TV and iPod dock. bathrooms are fitted with a shower, bathrobe and hairdryer. 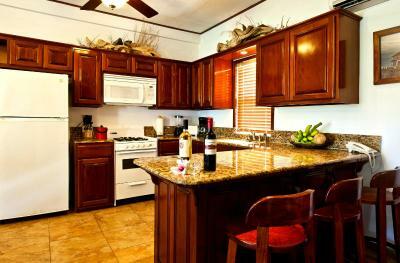 There is a dining area that and a kitchen equipped with a coffee maker, dishwasher, microwave, stove and fridge. 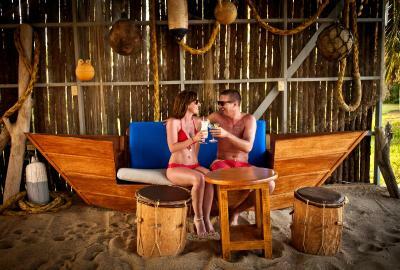 House Rules Hopkins Bay Belize a Muy'Ono Resort takes special requests – add in the next step! Hopkins Bay Belize a Muy&#39;Ono Resort accepts these cards and reserves the right to temporarily hold an amount prior to arrival. Hopkins Bay Belize a Muy'Ono Resort accepts these cards and reserves the right to temporarily hold an amount prior to arrival. The water is beautiful, but the beaches narrow. This was totally fine with us, as this is just natural state of things. If you love a quiet getaway with beautiful surroundings, the sound of the ocean & the gentle song of the birds, very delicious cocktails made fresh with local ingredients delivered right to your comfy hammock, then this IS the place for you. We enjoyed the use of the kayaks and the use of the bicycles (at no extra charge). We were able to explore the areas and really enjoyed hanging out in the small & very quaint town. If you need action packed, adrenaline surging activity, shopping and have need to party hearty, then I don’t think Hopkins Bay is for you...but it might be just what you NEED! Just to let you know that there are a variety of activities and tours available and the staff at the resort are so very helpful, but not high pressure when they let us know about them. We were here an entire week and didn’t need to go beyond where our bikes & kayaks would take us. We were made to feel so welcome & the very professional & friendly staff were attentive to our needs, but not at all intrusive- ever! We enjoyed many meals at the the main open aired, beach front restaurant & bar. The pool bar (also beach front) was a fantastic place to hang out in the afternoon. We highly recommend Hopkins Bay Resort for rest & recharge! Shuttles into town or some other form of transportation would be nice if you did not want to take the bikes. the lights were not too strong and so it felt a little dangerous getting around; however, very cool cultural experience! Excessive sea weed coming in to beach - unfortunate natural phenomenon that challenged the staff to clean up. What a disappointment. On our trip to Belize this was a third, and final, destination. The most expensive out of all (and Belize isn't cheap) yet the most disappointing. At booking, pictures looked good on Expedia and I expected to get great amenities and service. Do NOT trust those pictures. I would recommend staying here ONLY if you are paying no more than $100 / night. Anything over this simply isn't worth it. Unfortunately we paid US$1000 for 3 nights at this place (for 2 bedrooms) and I regret picking this place immensely. We paid US$650 in Placencia for 4 nights and the place there was light years ahead of this. I've expected very different accommodations at that price point. If I were to pay $300 for 3 nights - I wouldn't care for such low quality. "Rooms" are private condos managed by the company. They are pretty run down - tired bathrooms (leaking toilets that nobody cares about fixing), very old and run down kitchen, tiny TVs, old furniture, HORRIBLE pillows, broken drawers in old closets, etc. Sand on the beach was covered with sea grass which staff didn't bother with at all (in Placencia, where we stayed prior to Hopkins, the staff was caring for the beach non-stop and it was a pleasure to see them being so proud of their property) - the staff came once a day to take away a single wheelbarrow away. Pool was not really cleaned in the days we were there - first day there was dirt and bubbly film on the surface, which made the pool look disgusting. Very lazy staff and unlike other places in Belize. Restaurant food was way too expensive for bland, basic, boring dishes you get. The resort charges extra 10% on everything, which they claim to "distribute" between staff as tips. I have my doubts about all 10% making it to the staff. This is something a lot of places in Belize seem to be doing and something that I didn't like - I'd rather personally give cash to those who do a good job. Grounds around "villas" were in a decent shape - that was the only aspect of this place that looked a-OK. The windows and screens could use a little attention, along with replacing the mini blinds. The double doors to the balcony, facing the beach need the floor guides replaced. I say this because the weather was cool enough to leave the windows open for a lovely breeze to cool the room. The windows needed to be propped up to do so. The mini blinds were junk. A few times at night it got so windy that we had to prop chairs against the double doors to stop them from rattling and squeaking while we slept. The floor guides were shot. There is a mini fridge that has a small coffee machine and coffee and sugar on top. We didn't use it, but within days the entire top of the fridge was overrun with tiny ants. They were even in the sealed sugar jar! Kind of gross. A few managed to get on top of the bathroom vanity top too.....They should consider sugar packets instead of a lidded jar. That and a bit of perimeter spray might solve this issue. The beach lounge chair cushions could use a quick clean with a power washer. Not horrible, but were showing stains. These are minor details, but are pointed out as observations. 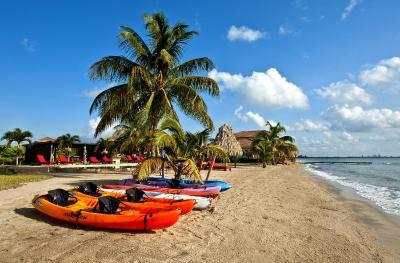 These are not enough to not consider Hopkins Bay Resort as a great place to stay in Belize. Resort as beautiful as pictured. The entire staff was lovely (especially Cici & Michelle) and always attentive! The Breakfast and Dinner at the Rhum Shack were consistently delish! Free bike rentals for venturing into the village was great way to explore the immediate area. The facilities and management team were awesome! We rented a Jeep and did a lot of inland touring. We visited The Jaguar Preserve for hiking. We also visited Xunatuich Mayan ruins on the Guatemalan border; Tip: Hire a private guide for this from Mayan Sky Canopy Tour. Cost; $150 US. and well worth it. Also visited a spectacular triple water fall at the Mayan Sky Canopy Tour base on the Southern Highway just before the Placencia Junction. This was so beautiful! Well worth the $10 fee to enter. We had the entire place to ourselves for our 3 hour visit. We also visited Placencia, a coastal beach village. Cool place to hang out on the beach, drink, eat and relax. We didn't feel that it would be worth staying in Placencia as it seemed to be under rapid outside development. While it's good for the local economy, it is changing the look and feel of this once quiet and natural coastal village. All in all Hopkins Bay Resort was a great place to stay and use as a base to visit the country. If lounging around all day by the pool and beach is your thing, this place has you covered! We planned to travel around independently, so we rented a Jeep. We stayed for 8 nights and probably had 2.5 actual warm and sunny days. The rest of the time was coolish and cloudy or partly sunny at best, so we were glad we could use that time to venture around the immediate country. 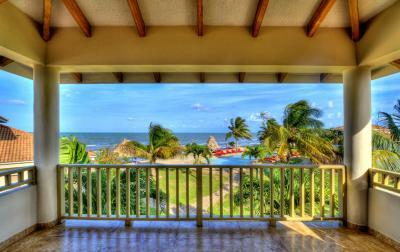 We are planning our return trip to Belize and Hopkins Bay is on our very short list of places to stay. San Pedro may be a consideration, it's one of the largest Cayes in Belize, but after chatting with locals in and around Hopkins, it is said to has succumbed to the over developed resort syndrome. The value for what you pay is not there. Though the staff is nice and the location directly at the beach it is overpriced. The meals at the restaurant were ok. There was nothing I didn't like about our stay here. The hotel restaurant has good food, but very overpriced for the small portions you get. Better visit other restaurants in Hopkins, which have much better stuff for the same prices! Awesome place, really! The room was great with a beautiful view, there was free drinking water from a gallon in the room, and a good coffee from the coffee machine. The bathroom was spotlessly clean and very nicely decorated. The staff was smiling all the time and were very helpful. The beach is a stone's throw away, there are enough chairs and you can rent a kayak or a wakeboard for free! There is also a beautiful garden and an awesome view of sunrise! One of the towel racks was a bit lose and would drop the towels but over nothing else.